Nvidia: No magic compilers for HPC coprocessors • The Register – Carpet Bomberz Inc.
And with clock speeds topped out and electricity use and cooling being the big limiting issue, Scott says that an exaflops machine running at a very modest 1GHz will require one billion-way parallelism, and parallelism in all subsystems to keep those threads humming. 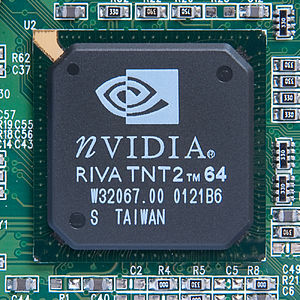 via Nvidia: No magic compilers for HPC coprocessors • The Register. 1 Microjoule is 1 millionth of a joule or 1×10-6 (six decimal places) whereas 1 picojoule is 1×10-12 or twice as many decimal places a total of 12 zeroes. So that is a HUGE difference 6 orders of magnitude in efficiency from an electrical consumption standpoint. The nVidia guy, author Steve estimates that to get to exascale supercomputers any hybrid CPU/GPU machine would need GPUs that have one order of magnitude higher efficiency in joules per floating point operation (FLOP) or 1×10-13, one whole decimal point better. To borrow a cliche, Supercomputer manufacturers have their work cut out for them. The way forward is efficiency and the GPU has the edge per operation, and all they need do is increase the efficiency that one decimal point to get them closer to the exascale league of super-computing. Why is exascale important to the scientific community at large? In one segment there’s never enough cycles per second to satisfy the scale of the computations being done. Models of systems can be created but the simulations they provide may not have enough fine grained ‘detail’. The detail say for weather model simulating a period of time in the future needs to know the current conditions then it can start the calculation. But the ‘resolution’ or fine-grained detail of ‘conditions’ is what limits the accuracy over time. Especially when small errors get amplified by each successive cycle of calculating. One way to help limit the damage by these small errors is to increase the resolution or the land area over which you are assign a ‘current condition’. So instead of 10 miles of resolution (meaning each block on the face of the planet is 10miles square), you switch to 1mile resolution. Any error in a one mile square patch is less likely to cause huge errors in the future weather prediction. But now you have to calculate 10x the number of squares as compared to the previous best model which you set at 10miles of resolution. That’s probably the easiest way to see how demands on the computer increase as people increase the resolution of their weather prediction models. But it’s not limited just to weather. It could be used to simulate a nuclear weapon aging over time. Or it could be used to decrypt foreign messages intercepted by NSA satellites. The speed of the computer would allow more brute force attempts ad decrypting any message they capture. In spite of all the gains to be had with an exascale computer, you still have to program the bloody thing to work with your simulation. And that’s really the gist of this article, no free lunch in High Performance Computing. The level of knowledge of the hardware required to get anything like the maximum theoretical speed is a lot higher than one would think. There’s no magic bullet or ‘re-compile’ button that’s going to get your old software running smoothly on the exascale computer. More likely you and a team of the smartest scientists are going to work for years to tailor your simulation to the hardware you want to run it on. And therein lies the rub, the hardware alone isn’t going to get you the extra performance.